Looking for somewhere inexpensive to stay in Paris, I stumbled upon Helzear after hours of trawling unsuccessfully through apartments on air bnb, House Trip and such alike. 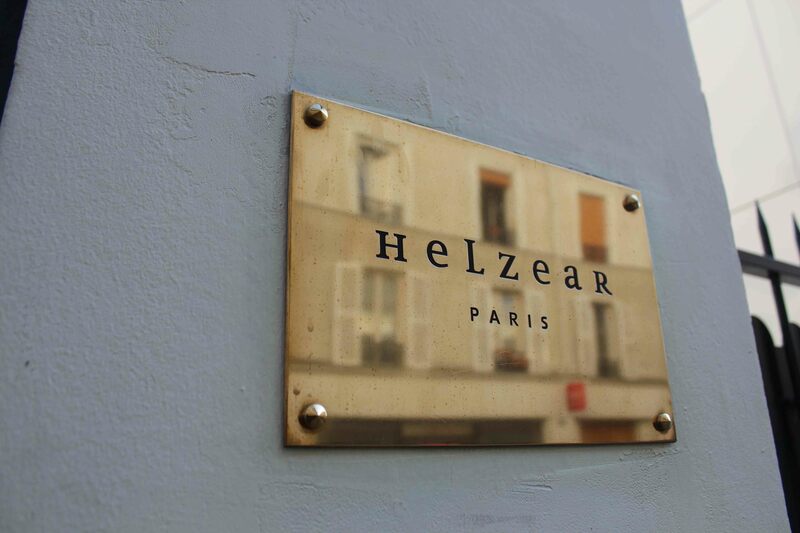 Helzear is a growing group of holiday rental apartments in Paris. The Montparnasse was the first to open 6 years ago or so, the Marais a few years ago and the Champs-Élysées site is the most recent one, opening its doors in 2013. I opted for the Montparnasse one as it was the cheapest one and had availability. I’m actually quite glad I did as I was travelling with my mum, so it was quite nice to be in a quiet residential, non touristy spot. I had requested a first floor apartment as I had read somewhere the ground floor ones could be noisy. It turns out the apartment we got (Amedeo Modigliani) was the only one with a terrace in the entire courtyard. Wahoo! Our apartment was modern, compact, comfortable and clean. It was fine for 2 people but definitely not 4, which it advertises itself as being able to hold. However, not all the 1 bedrooms are the same size, I know for a fact the one on the ground floor in the same building as ours was quite a fair bit bigger – so it’s best to call and just enquire. I saw the rate on the door and couldn’t quite believe my eyes – I would never have paid 440 euro per night for my apartment – so again best to call them up and see what is the best rate they can offer you for the period you intend to stay. The bedroom held a double bed with a narrow path to gain access to the bathroom. There was no closet to hang clothes (the only space to hang clothes is a rail on the back of the room in the main living area). The bed itself had a high board with some depth to it – I ended up utilizing this space for toiletries, jewelry and tidbits. It’s very small but somehow manages not to feel claustrophobic. There is window that can be opened should it get too stuffy. The bathroom is a decent size with standing shower. Everything was modern and in good working order and very very clean. Products were limited (shower gel and soap) but were of good quality (Nuxe products – I use their face cream ordinarily and it’s very nice indeed). The living room had a sofa bed – possibly the easiest one I have experienced to date – you literally just pull it out and eh voila your done and it works like a real bed, nice thick mattress and really rather comfortable. The kitchenette was ingenious – it is so small but has everything you need: two plate hob; a grill (didn’t use either though); kettle; dishcloth; a top shelf that held – wine and champagne glasses, tumblers and a chopping board; bottom shelves that housed plates, salad bowl and all crockery. The doors in the centre of the living room opened out into the balcony, where we had breakfast each morning and wine at night; this really boosted the appeal of this place for me because it made the place feel less tight than it was in reality. Has a wall mounted TV but no DVD. Ironing board and iron are available on request. Adaptors (UK), extra dish cloths and all that stuff again is available if you ask for it. Service was great. I literally couldn’t praise them enough – each and every one of the staff went out of their way to accommodate you in any way they could. 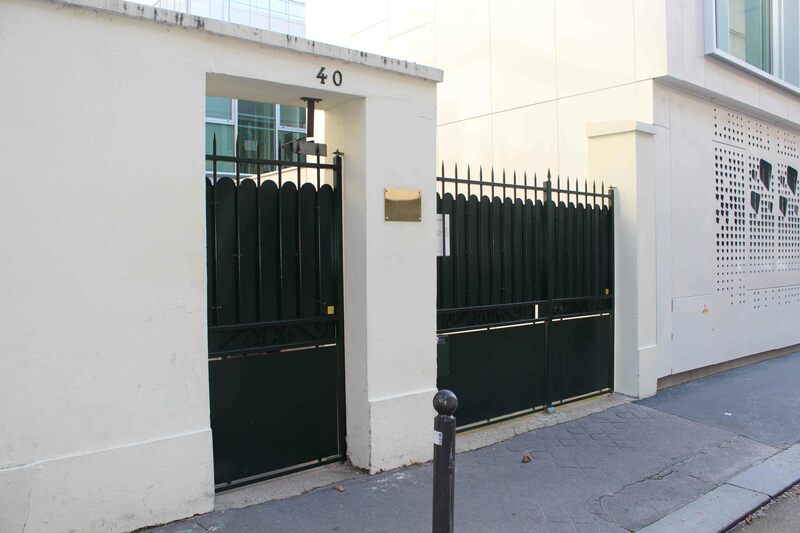 Helzear Montparnasse isn’t luxury accommodation but it does provide a nice comfortable base for those who like the idea of a bigger space than a mere bedroom, are loathe to pay hotel suite prices but aren’t keen on actually living in someone else’s home, nick nacks & all.